My last week's post was a bit on the serious side, so this week, I'm offering up my silliest post of the week - but with AWESOME comments. Be sure and tell us what your "Never Have I Ever"'s are! My post I'm sharing wasn't from this week, but it's one of the funniest I've had in a while. Looking forward to visiting with you all! 5. Magic City Post - A free concert on Sunday in Linn Park with not one but two American Idols, Ruben Studdard and Taylor Hicks, to help with tornado relief. 6. 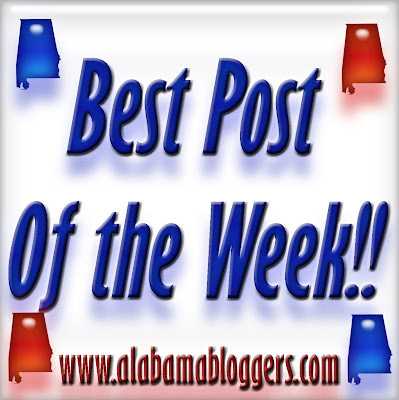 Birmingham Blogging Academy - A look at James Spann and his use of social media with his television power to help people before, during and after the April 27 storms. I found some pictures that I thought were long gone because of a crashed computer! Of course, I had to share some of them on my blog. I have a post about a treasure I found at the estate sale of our sweet elderly neighbor who recently passed away. A new adventure with crawfish! !